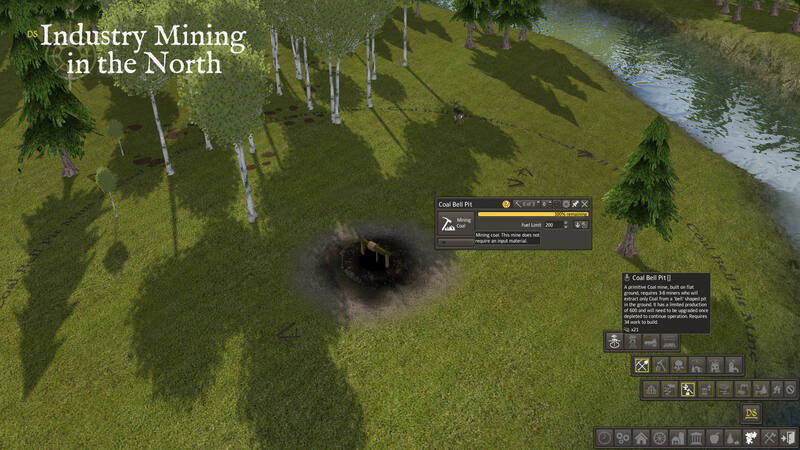 a primitive coal mine, built on flat land. 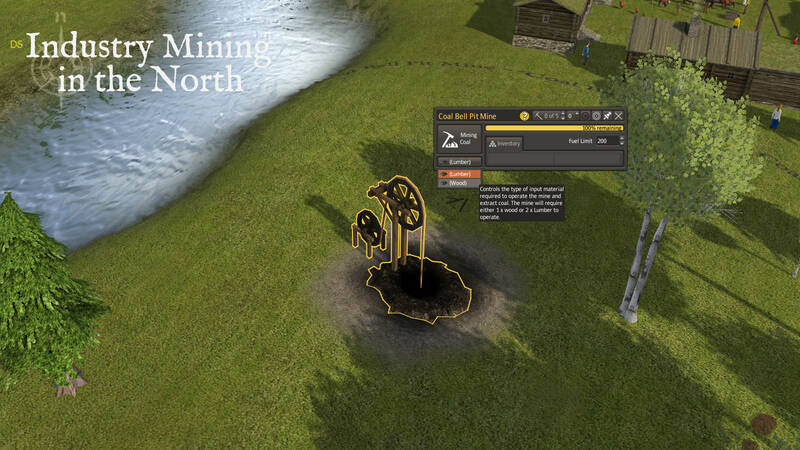 miners will extract the coal from a ‘bell’ shaped pit dug into the ground. it has a limited production of only 600 and will become derelict afterwards, or it can be upgraded. allows a longer lifespan (5,400), and slightly quicker extraction of coal with the addition of a pulley system to aid the miners.